My blog today takes a slightly somber turn in light of the tenth anniversary of the horrific events that occurred on September 11, 2001. As I’m sure most people are aware,a public space is being created at the site of the World Trade Centers to honor those who were lost on that fateful day. Proposed finished view of the 9/11 Memorial. The 9/11 memorial park contains water features in the footprints of the buildings surrounded by hundreds of locally grown Swamp Oaks (Quercus palustris). Over 200 of the Oak Trees will be in place for the dedication service on Sunday and another 200 trees will fill the space when the project is complete. The overall effect will be a peaceful grove of trees offering a place of quiet to remember loved ones. 400 swamp oaks getting ready for installation. Swamp oaks were a deliberate choice in for this park. Climbing up to 75′ in height, they are extremely hardy and can survive for over 3o0 years. These oaks have a beautiful, rich russet brown fall foliage that will envelope the Memorial in October through the winter. 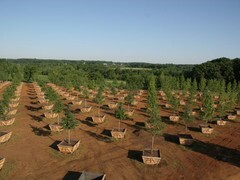 They are currently being grown and cared for in New Jersey by Bartlett Tree Experts. 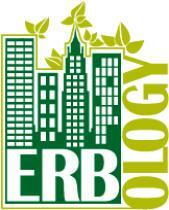 The planting of trees as a memorial tribute has grown in popularity because of the lasting dedication a tree provides. A single tree can serve as remembrance for several generations to come with the proper care. Humans have an innate tendency to gravitate towards the serenity of nature during difficult times. Though the dedication service is scheduled for this Sunday, Sept. 11, 2011 the memorial will only open for the public on September 12. 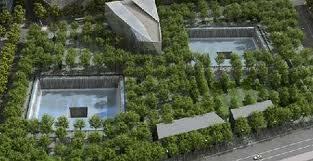 For more information on the 9/11 Memorial Park, visit their website at www.911memorial.org.